I just though that you all would like to know that I've just got the OK to make THE FINAL SOLUTION FORENSIC CHALLENGE even easier for Roberto Muehlenkamp and lay claim to the $100,000.00 reward. Please note that this waiver is for Treblinka and Roberto Muehlenkamp only. You must prove the grave’s exact location and its exact dimensions. What this means is - the only thing RM has to prove exists at the alleged "pure extermination center" of Treblinka is the existence of the remains of 8,700 jews. All other requirements remain in effect. Now just how hard should this be? The answer to the question "just how hard" it should be to prove that the site of the former Treblinka extermination camp contains the remains of at least 8,700 human beings is: well, that depends. It depends on what Gerdes would accept as proof. which add up to the inescapable conclusion that at least well over 700,000 people were murdered at Treblinka, that their bodies were mostly reduced to ashes and bone fragments and that these as well as other remains, which were (except maybe for some during cleanup of the mess made by robbery diggers when the Treblinka memorial was built in the early 1960s) not removed from the area, still lie in the ground of Treblinka – it is not too hard indeed to prove an amount of human remains far exceeding what is required to meet Gerdes’ requirement. The exhibits presented in my posts # 172, # 194 and # 777 on the VNN thread Archeological Investigations of Treblinka should be more than sufficient for this purpose. This scenario I shall call Alternative A. If, on the other hand, Gerdes wants a physical quantification of human remains lying underground in the area of former Treblinka extermination camp and an expert's confirmation that the remains so quantified correspond to at least 8,700 human bodies, he’s demanding quite a lot, to say the least. a particularly instructive example of idiocy and dishonesty even by Gerdian standards. 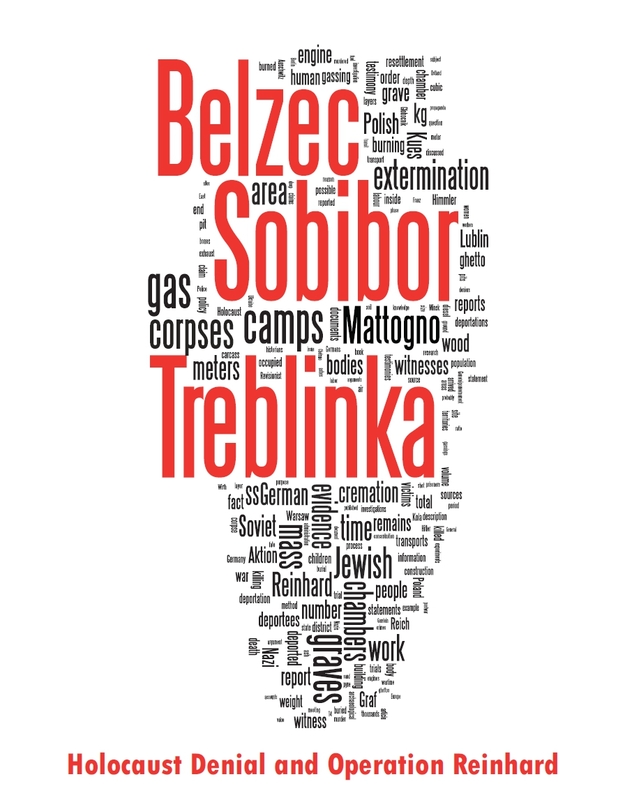 The situation at Treblinka would be the same, except that at Belzec the mass graves have already been located and their dimensions and contents have already been assessed and described by an archaeologist. 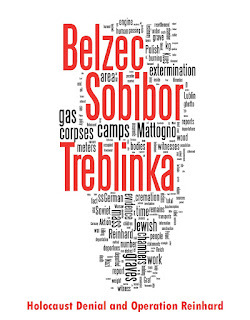 At Treblinka the first task would be to locate and outline at least one of the former extermination camp’s mass graves – a task probably more difficult to accomplish there than it was at Belzec, where a memorial was not yet in place when Prof. Kola’s study was conducted in 1997-1999. So in this scenario, which I shall call Alternative B, Gerdes would be asking for something that is even harder to accomplish than a similar undertaking in regard to Belzec grave # 10 would be, if it can be accomplished at all. This, in turn, would mean that the "waiver" he makes so much of is – as was to be expected – just another of Gerdes’ fraudulent publicity stunts, a rather transparent hoax meant to fool suckers. Which of them is it, Alternative A or Alternative B? Let’s have a clear and simple answer please, Mr. Gerdes. 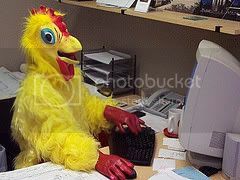 An evasive answer, especially if consisting of or including the good old "what part of the word proof do you not understand" – baloney, will be taken as meaning that Gerdes accepts proof as per the reasonable Alternative A.
I’m looking forward to your answer in a duly identified comment under the present blog article, Mr. Gerdes. Considering that you may have to confer with the fellow supporters of the NAFCASH challenge, if existing, I’ll give you until 12 September 2008, 18:00 hours GMT. If you need more time, please say so – also in a duly identified comment under the present blog article.